The PTC-150 PTZ Camera has been designed with many indoor applications in mind such as live theatre events, concerts, conferencing, worship, news studio, talk shows, education, indoor sports and security. 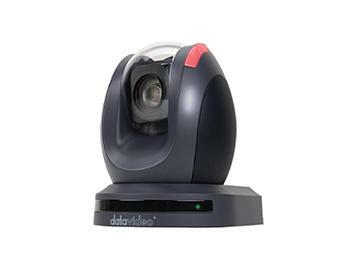 The Datavideo PTC-150 combines outstanding image quality with super smooth and quiet pan/tilt/zoom operation. The PTC-150 produces high quality video in a wide range of lighting conditions and supports 1080/59.94p, 1080/59.94i, 1080/29.97p, 1080/50p, 1080/50i, 1080/25p, 720/59.94p, 720/50p, as well as 480/59.94i (NTSC) and 576/50i (PAL). Video Format Output: 1 V p-p / 75 Ohms. 1. Can upgrade by USB Dongle. 2. When USB dongle plugs in the USB port, user can select OSD manu to start the F/W upgrade. 3. When upgrading the F/W code, Dual Tally light will blink. Wow! I can't express how happy I am with this product. I bought this video camera for our live theater events at our school, as we were in desperate need for an upgrade. This video camera didn't just upgrade, it revolutionized the whole experience! The quality from the both the video and sound are absolutely stunning and everyone at my school is so happy I made the decision to buy a pack of these video cameras. Thanks so much for an amazing product!